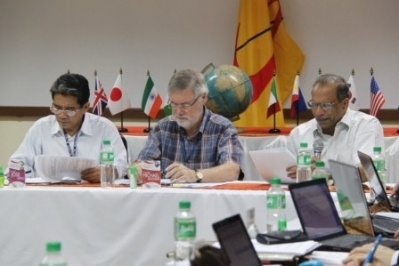 February 10, Makati, Philippines — As the official observers of CAP-ESW Frs Dominador Guzman, Jr. and Leonardo Ellezar took over the presiding of the Eucharistic celebration of the day, they also offered prayers forand remembered the UK-Ireland and US Circumscriptions whose delegates were not able to come. Fr. Guzman, Jr, shared in his homily that as the impaired hearing was touched by Jesus and was able to hear and speak, may the delegates, also touched by the Lord and by the sharings of the past days, open their hearts to the realities around so that some proposals, agreements (as well as the documents) be approved. 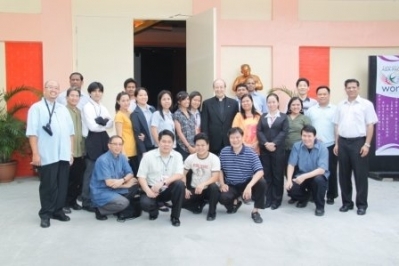 February 9, Borello Hall, Makati — The Eucharistic Celebration at the Queen of the Apostle Chapel presided by Japan-Korea delegates was a special one. Before the start of the mass, the Vicar General Fr. Celso Godilano announced to the delegates that the mother of Fr. 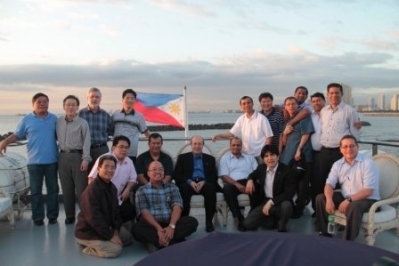 Jose Salud Paredes Servin, CAP-ESW official observer to CAP-ESW and Verification Visitator to the SSP Philippine-Macau Circumscription, just died in Mexico. So the Mass was offered especially for the eternal repose of the soul of Mrs. Alicia Servin. Fr. Suzuki on behalf of the CAP-ESW condoled Fr. Paredes, expressing sympathy and love, for he said, the Pauline bond unites us together in solidarity both in sorrow and in joy, the way the Syro-Phoenician woman felt , as Fr. Maggiorino An Seong pointed out, Jesus stood by her side. February 7, Borello Hall, Makati — The second day started with a Eucharistic Mass presided by Fr. Michael Raj, Provincial Superior of India-Nigeria Circumscription. In the homily, Fr. Jose Pottayil compared the The Pact or Secret of Success to that of Solomon’s Prayer in the First Reading. He said that when we acknowledge our nothingness or inadequacies yet express a tremendous trust in the Lord, we can do greater things in our mission. Aptly, the delegates discussed what they could do more in their mission especially as a CAP-ESW body. The first part was dedicated to the review of the Statute of CAP-ESW. Line by line, they read the statute which will be, after deliberations, approved on Friday, February 10. 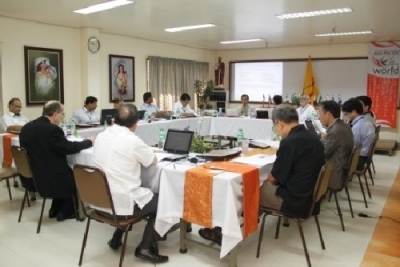 February 6, Borello Hall, SSP Makati — The meeting began with the chanting of the Invocation to the Holy Spirit led by Fr. Jose Aripio, SSP, the President of the CAP-ESW Plenary Meeting. He then welcomed all the participants, noting the names and designations of the delegates, observers and resource person. Fr. Michael Goonan, CAP-ESW Executive Secretary, then presented the main agenda, facilitated the approval of the seminar schedule and designated tasks. Fr. 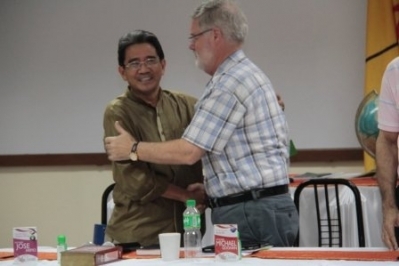 Nestor Candado was appointed Secretary of this Meeting and Fr. Jose Pottayil Moderator.